Holidays can be really fun, but they can also easily lead to chaos in your classroom, which leaves teachers feeling overwhelmed. Whether you're insanely festive or super turned off by holidays. I like to have a game plan in mind for each holiday. 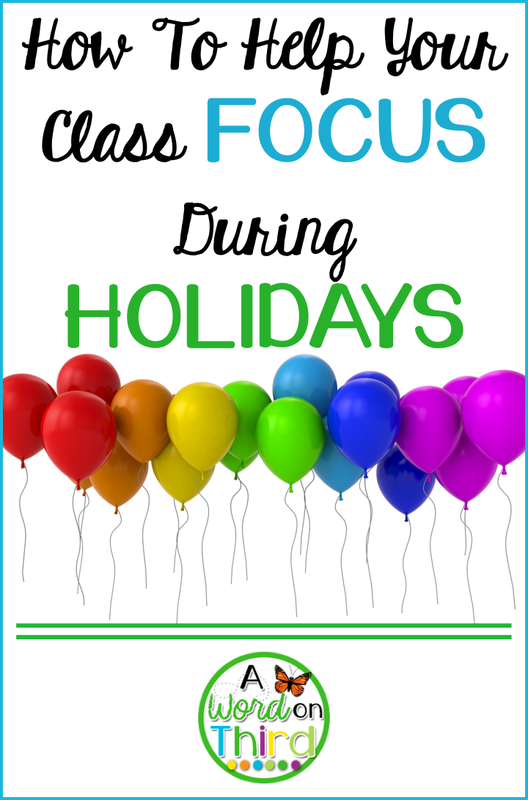 There are some things I am super mindful of for a while before holidays, and there are others I really only focus on on the actual day of the holiday or the day we celebrate the holiday together as a class. Read some of my tips below to hold onto your sanity and to prevent too much Teacher-Tired from setting in this Halloween!! 1. Remember to revisit your regular routines and new ones through interactive modeling. I think it's easy for us to remember to do this during the first few weeks of school, but sometimes we forget to reteach things when the going gets rough! 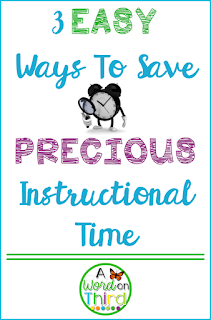 When you are going to have a day off of school, when it's been a while since you've taught something, when you return after a substitute teacher is in the classroom... you're going to need to re-teach some stuff. You just are. Students are more successful when you re-model these things, and you can shorten the process of interactive modeling by having a student model the desired behavior (but only if this is a true reminder!). Holiday time in my classroom means LOTS of extra modeling. You can read more about how to do that by clicking the picture below. 2. Keep your kids moving. 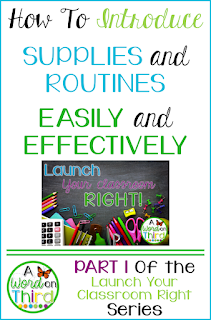 That means two things to me: plan brain breaks for your class to do when they need to calm down or re-energenize, and plan for lots of movement/activity in your regular lesson plans. Planning frequent brain breaks is actually going to save you time. By investing in the time it takes to do a brain break, I promise you are getting that time back AND THEN SOME by not having to deal with off task behaviors as often. 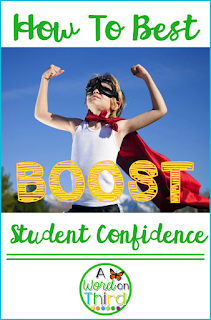 If you use GoNoodle like I do, some brain breaks are as short as 60 seconds. Plenty of the Energizers Responsive Classroom books have are similarly short. Of course, if you have more time, you can do some for more than that! There are also tons of learning structures and games that you can work on with kids while simultaneously teaching content. You probably know the game Scoot; this is a perfect example of moving around while learning. I recommend involving meaningful problems rather than just worksheet problems and perhaps allowing kids to talk while they play too. 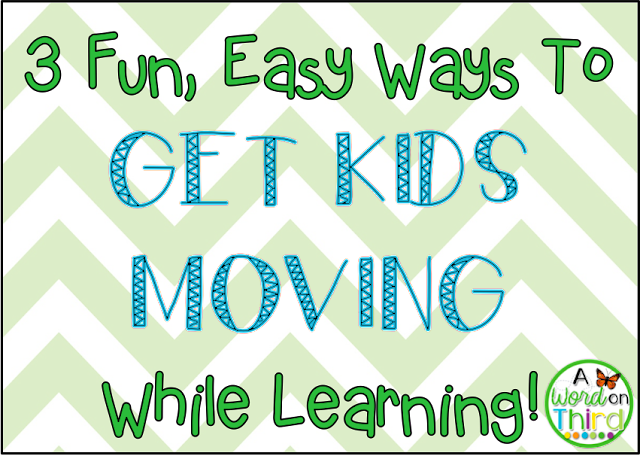 You can click the pictures below to learn some ideas for both of these ways to keep your kids moving. You'll get to read about Scoot, Go Noodle, and more in these posts! 3. Double down on the positive reinforcement. I know this might seem like a no-brainer, but I need reminders to do this too. Consistently using reinforcing language (specific language that gives brief but exact positive feedback on desired behaviors and actions) will really keep the ship sailing smoothly... and it will make you happier too! Again... click the picture below to read more about this. So add these goodies to your pre-holiday bag of tricks! They will make you so. SO. SO. much happier!! Have you ever heard the expression, "If you can't beat them, join them?" I think that's kind of appropriate on these days. First of all, it puts some joy back into your day! Second of all... I think we need to remember that our students are KIDS, not robots. OF COURSE they are going to be excited!!! You can roll with the punches by doing a few different things. First, I suggest giving your kids an appropriate outlet for their excitement. So, some unexpected holiday... "cheer" enters your classroom? No problem! Sometimes I will say something like, "WOW! That's so cool! Let's talk about it for 30 seconds, and then it's time to go back to work." Then I hold the kids to that 30 second rule. I might pre-emptively say, "I'm going to give you 5 seconds to really cheer loudly because I know you're excited about this. Then we will go back to what we were doing." Those kinds of things save you so much time. You would have spent more than 5 seconds telling the kids to stop cheering, but one is a LOT more fun, understanding, and realistic. Can you play spooky music during reader's or writer's workshop as long as the kids are demonstrating their awesome stamina? These are things to think about. If the music becomes distracting, turn it off and let the kids try again in a few minutes. This can be used to your advantage. 2. Inject holiday-themed activities into your day when possible. This one comes more naturally to us, I think. For example, this Halloween, I'll be working on a few different things with my kids. In writing, I always use my Mysteries of Harris Burdick book (my kids LOVE this one) to come up with some spooky writing. I teach the workshop model, so I teach a mini-lesson on planning across fingers, and then the kids do it and write. For our share, we share our spooky stories with our partners. I also work on a math lab that involves the holiday. Sometimes it only takes a day, sometimes it takes more. It depends on what I'm teaching. If I can't find or make a lab that I like that focuses on the content and skills I'm working on in a particular unit of math study, then I usually just give the kids a day to review other skills in an unrelated but meaningful math lab. 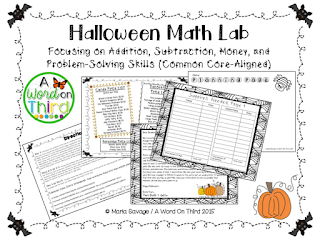 If you need some stuff to work on in math this week, try out this lab that I created. It's really fun and it focuses on addition, subtraction, money, etc. It'll hold you over for at least 4 days! Pick books to read aloud that focus on the holiday. Can you pick a nonfiction book or article about the holiday to practice important nonfiction skills? Can you pick a fun fiction book about the holiday and work on some character work or other important skill? There's so much to do! If you're looking specifically for Halloween ideas for the week, click here to read about how I've prepared for Halloween in the past. I'm using a lot of the same ideas this year!! How do YOU like to prepare for holidays? What goodies are in your bag of tricks? Comment below!